Angkor Wat, what today is one of the Seven Wonders of the World, was the capital of the ancient Khmer Kingdom built around a Hindu temple to Vishnu. This long lost city, which for centuries existed only as a myth, was discovered in 1861 by a French naturalist, Henri Mouhot. Its enormous temples, towering spires, giant carved faces and ornate bas reliefs, swallowed by the jungle and then rescued, are an eternal tribute to a lost civilization. The "City of Kings", with some of the largest religious monuments ever constructed, is a mystic and magical place which carries a spiritual significance for many, and once in a lifetime travel experience for others. This tour can be combined with the Impressions of Vietnam tour (October 24 - November 4, 2019). 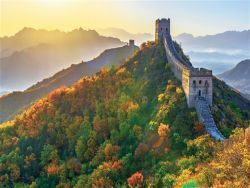 Spend an exciting two weeks learning about the ancient and modern China and experiencing its delights: from the ancient Terracotta Warriors of Xi’an to modern Shanghai, explore China in depth, as you tour the Middle Kingdom. See Beijing’s Forbidden City, walk along a secluded section of the Great Wall, enjoy the breathtaking landscape of the Yangtze River with its dramatic gorges and the idyllic rising rice paddies, and conclude in the dazzling capital of Shanghai. The effervescence of India surpasses the simple combination of the beauty of its landscape and the intricacy of its ancient architecture. The complexity of the country means that it is indelibly spiritual at one moment, then architecturally glorious, then astonishingly natural, then culturally fascinating. 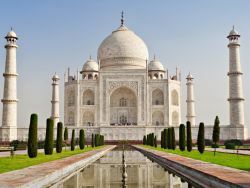 Mystical and spiritual, India is a land of rich contrasts. Its cultural tapestry unveils a country with many faces, each unraveling a feast of fresh experiences, infused with a kaleidoscopic blend of enchantment and sensual indulgence. As we travel through the classic Golden Triangle which encompasses every aspect of India, we’ll exceprience the real India, full of color, mystical, profound and mesmerizing. From the jungle-clad mountains to the white-sand coastline, Bali is a living postcard, an Indonesian paradise wrapped in ancient mystique and fantastical beliefs. Below the volcanic peaks from which the island once sprang, rice terraces texture emerald slopes, the aroma of fresh coconut fills the air, and the intricate temples stand silhouetted against perfect sunsets. Ancient springs feed the spiritual pools, lush jungles shelter stone temples filled with mischievous monkeys, and plantations grow cinnamon and heavenly coffee. 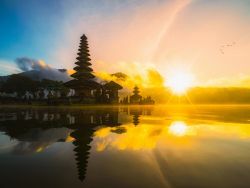 The highlights of the Enchanted Bali tour will include the ancient temples, the coral reefs, dance performances, a batik workshop, and a yoga and meditation retreat. Historically a land of sublime art, rich traditions, and unsurpassed natural beauty, Japan is also known for its dizzying modernity. Experience fascinating aspects of Japanese culture, from a traditional tea ceremony to staying in a ryokan, as you travel through this land of captivating contrasts on a journey through electrifying Tokyo to ancient Kyoto. 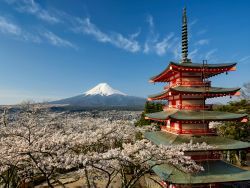 Meditate in a Zen temple, ride the bullet train and delight in the natural beauty of Japan's gardens, the majesty of Mt. Fuji and a relaxing cruise on scenic Ashi Lake. Known as the land of a million elephants, Laos is the most serene country in Southeast Asia. 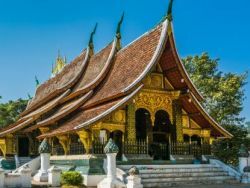 The landscape is a stunning mix of mist-shrouded mountain peaks flanked by jungle-clad valleys, beautiful French colonial towns, gilded temples, golden Buddhist stupas and the magic of the Mekong. Both physically and spiritually, the world here moves at the pace of the saffron-robed monks, and the skyline is defined by mountains and temples, and cicadas and waterfalls drown out the hum of voices. 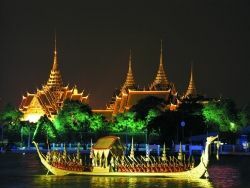 During this journey, we’ll experience the essence of old Asia with glittering temples, unique hill tribe cultures, and the mighty Mekong flowing through it. Korea, the Land of the Morning Calm, offers a dazzling range of experiences, beautiful landscapes and 5000 years of culture and history. Time-honored Confucian principles have set a template for strong civic pride in a society that is introspective, but also decorous and affirmative. According to an ancient legend, the country was founded by Tangun - a demigod born of a bear and a god. 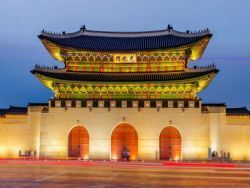 Since its inception, the country on the Han River has undergone a transformation from three separate kingdoms, the Goryeo and the Joseon dynasties, the Japanese occupation, the Korean War, and the division into two separate states. Sail among the thousands of limestone islands of Ha Long Bay and across the Perfume River, stroll by peaceful pagodas and Buddhist monasteries, watch colorful floating markets of the Mekong River Delta and enjoy a private cooking class. 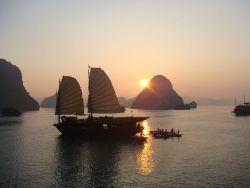 Discover the many aspects of the French colonial Hanoi and the vibrant city of Saigon. This tour can be combined with the Angkor Wat Tour to Cambodia (November 4 - 7, 2019).